Company VostokCoal has backing from the highest political level for its extraction and export of 30 million tons of coal per year from Taybass, the coal basin on the northern tip of great Taymyr peninsula. It is one of the remotest places on earth. Nobody makes it to Taymyr without the right papers, contacts and security clearance. The vast lands of the peninsula are inhabited by only a few thousand people and infrastructure is almost nonexistent. This is where VostokCoal is developing its huge project. 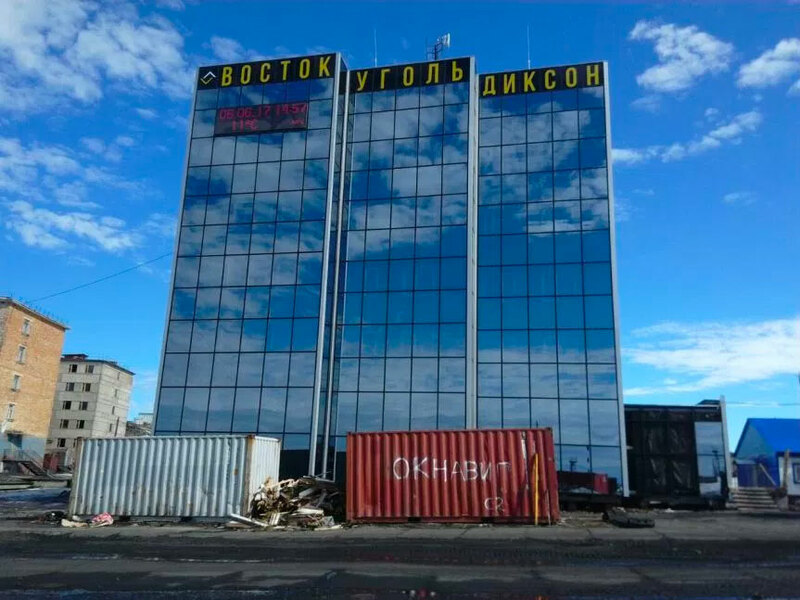 Over the next few years, the company intends to extract hundreds of millions of tons of coal, build new roads and infrastructure, and turn the small and desolate town of Dikson into the «capital of the Arctic». It is anthracite, a hard kind of coal with high carbon content, which is located in abundant layers north in the Arctic peninsula. It is used mostly in the metallurgy sector and mined only by a few countries in the world. The 30 million tons from Taymyr will account for almost five percent of annual global production. According to VostokCoal, this material needs no processing and can be easily digged out of the area and directly loaded on board ships for exports. It is a high-profit project, project owner Aleksandr Isayev says in an interview with Prime. «The extraction is conducted in the immediate vicinity to the port», he says and adds that in 2017-2018 the company will spend only about $20 per ton extracted and sent to port, $5 on local terminal loading and $20 on shipment to Amsterdam. And the works are in full progress. In 2016, the first 100,000 tons of coal were extracted and the first ship load sent towards foreign buyers. More out-shipments followed this year. A total of $100 million has been invested so far. And the total investments will ultimately amount to more than $250 million. No state money is included, Aleksandr Isayev underlines. «There is only two equal partners - myself and Dmitry Bosov», he maintains. According to company plans, as much as 30 million tons of the high-quality coal is to be extracted every year by 2025. Already in 2019, production will amount to ten million tons. And it is all going to be shipped out and exported through Arctic waters. Ultimately, this coal will constitute a lion’s share of shipments on the Northern Sea Route. 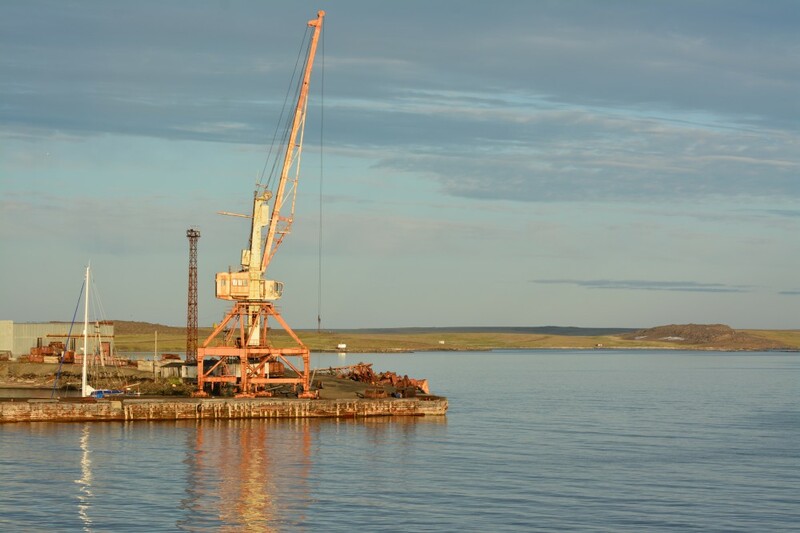 A memo from the federal Ministry of Natural Resource, made available by news site PortNews, shows that more than half of Russian Arctic shipments in year 2025 might come from VostokCoal. While Novatek intends to ship about 17 million tons of LNG from its Yamal LNG project by year 2025, and Gazprom six million tons of oil from the Novy Port, VostokCoal will by far outnumber them both. In March this year, the company signed a cooperation agreement with Nordic Bulk Carriers, the Danish company, over the shipping operations. The deal includes the annual shipment of 30 million tons of coal per year, first with Panamax-class ships, later with vessels type Bothnia and Barents. In a comment, General Director Vadim Bugayev of the Arctic Mining Company, a subsidiary of VostokCoal, says the deal is «important for the development of the Northern Sea Route and the Russian Arctic». «New points of economic growth, full-fledged development of the whole region is impossible without solving logistical tasks, build ports and develop the Northern Sea Route», he underlines in a press release. That same month, the company also signed a deal with Rosatomflot, the state-owned nuclear icebreaker company. The agreements with the Nordic Bulk Carriers and Rosatomflot came after VostokCoal pulled out of a five-year contract with the Murmansk Shipping Company. According to Isayev, the vessels of the MSCO «did not meet demands and proved themselves not capable of fulfilling the task». A court suit between the parts followed. 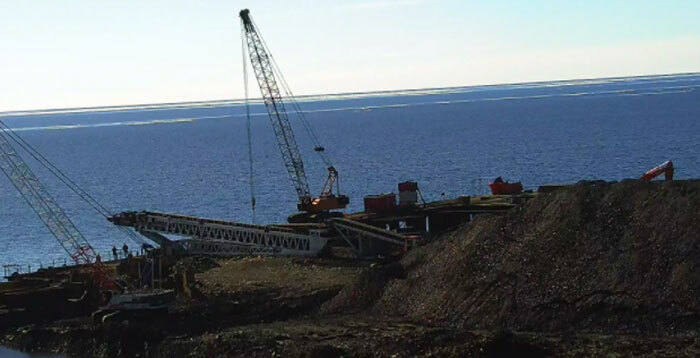 A new sea terminal, the «Chaika», is already under construction a few kilometers west of Dikson, and works with a second, the «Sever» is due to start in 2018. Both new facilities are located in bays nearby Dikson and will have an annual combined capacity to handle 30 million tons per year. Also the port of Dikson is up for modernization. However, this port will serve only local needs, food supplies and deliveries of fuel. Later, as the ore resources located closest to the sea are exhausted, a 200 km long railway is planned built to reach the more remote-located reserves. It will require massive efforts. According to Aleksandr Isayev, up to 20,000 workers are needed. And that number might triple if you include the workers’ family members. Because VostokCoal wants the project workers to live on site. Big investments are planned in local housing, and the company has already built its first building on site, the local company headquarters. It has set the standards. The 12 stories building is made of glass and rules the terrain in the run-down town of about 5,000 inhabitants. 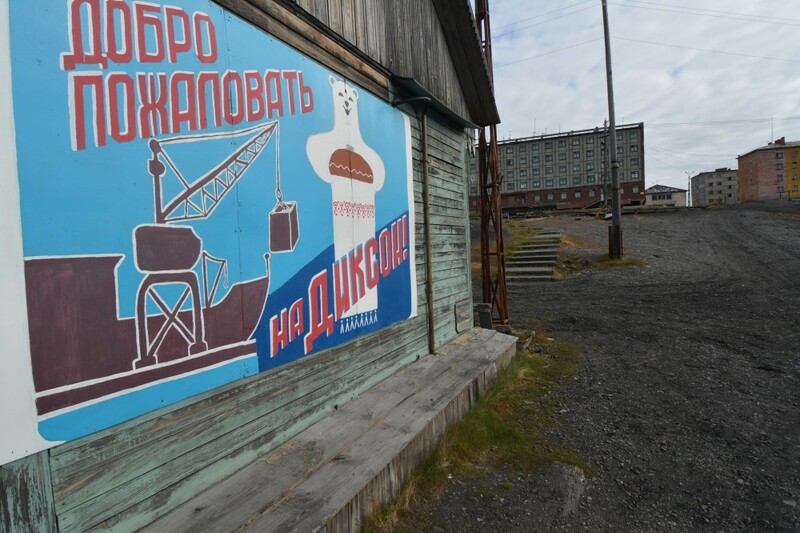 This will become the «capital of the Arctic», says Isayev. It has taken VostokCoal only a couple of years to get the project up running. The first production licenses were obtained in 2015 and project development started later that same year. The company now has 50 exploration and production licenses in the area. They stretch about 200 kilometers into the peninsula. It has not been achieved without support from the highest political level. 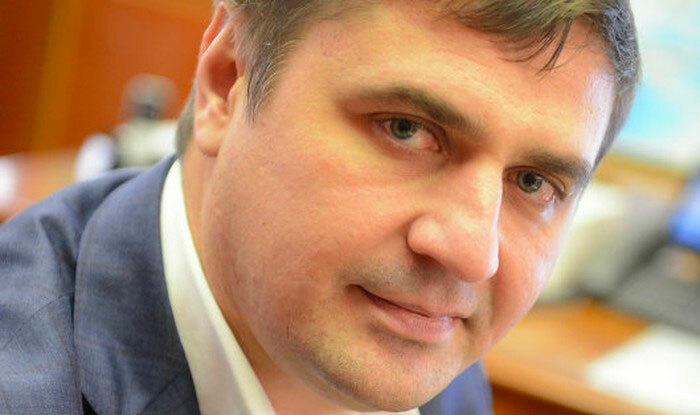 The two company leaders, Dmitry Bosov and Aleksandr Isayev, appear to be well connected even with the Kremlin. Bosov reportedly has a house in Rublyovka, close to the residency of Vladimir Putin. The VostokCoal also appears connected with Minister of Defense Sergey Shoigu. The minister’s daughter Kseniya Shoigu is the founder and 100 percent owner of Arctic Logistics, a company closely associated with VostokCoal. Arctic Logistics is managed by Vadim Bugayev, a man who also works for VostokCoal, company information reveals. As uncovered by news magazine Sobesedniki, Arctic Logistics and VostokCoal has the same telephone number and are part of the same holding. Interestingly, the Arctic Logistics was established at the same time as VostokCoal broke off its contract with the Murmansk Shipping Company on coal shipments. It does not seem to bother Dmitry Bosov and Aleksandr Isayev that coal gradually is on its way out of the energy balance of the western world. «We feel full of force, self-confidence and experience to launch this big project in Dikson», Isayev says to Praim.